Now a Registered Rodenburg Teacher! Cynthia is one of ten in the inaugural class of teachers selected by Patsy Rodenburg (OBE) for her Master Teachers Certification Program. 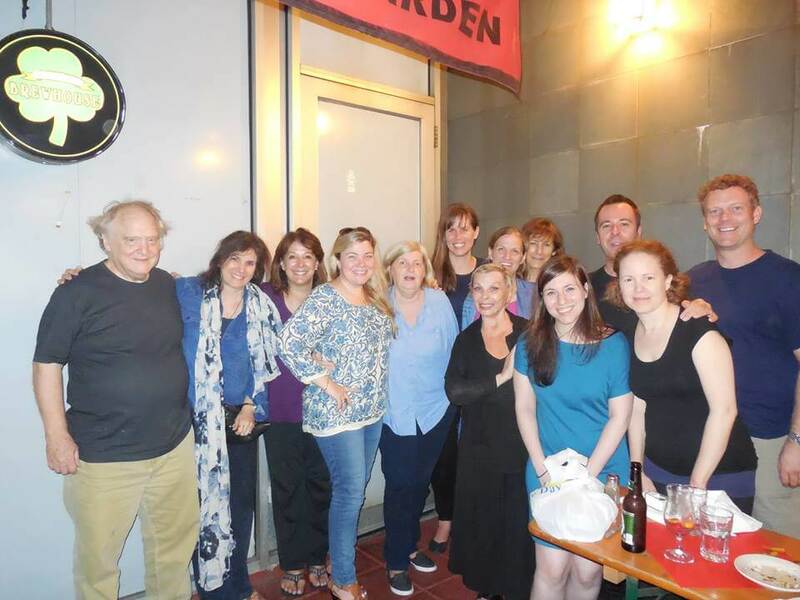 Teaching Patsy Rodenburg's voice, speech and presence work is an absolute joy for Cynthia. 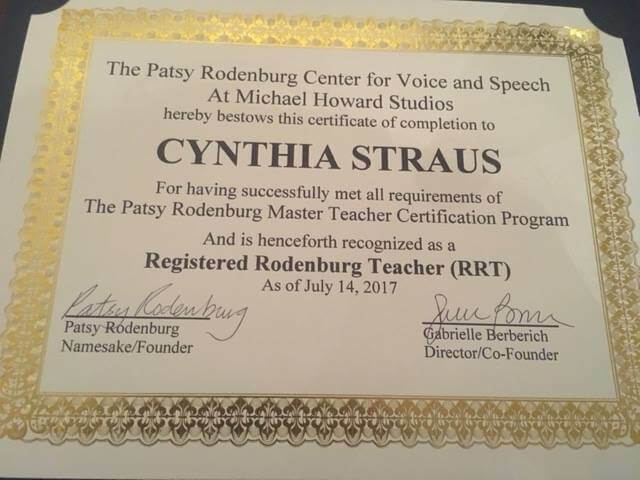 Although she has been teaching since 2015, Cynthia is happy to announce her official certification as a Registered Rodenburg Teacher on July 14th of 2017. You may ask "what is this work?" This work, formally known as "Embodiment", is not descriptive, it is experiential. By releasing excess tensions from the body, opening the breath, freeing the voice, and finally connecting the free, open voice to language we have a chance to meet text, and life with full presence. But, do not take my word for it. Try a session and see for yourself... We work on Shakespearean as well as Contemporary text. Non-Actors will begin with given text and then move onto whatever will best serve their needs. Cynthia is available for classes, workshops, private or semi-private lessons. She also works with actors on set, or in rehearsal process via director/producer request. For inquiries to working with Cynthia, please click here. “"The stuff you gave me has been some of the most helpful, formative work I’ve ever done as an actor... I feel incredibly fortunate to have found you. In the short time I have known you you’ve given me tools I will always use in my work… You’re a wonderful teacher, so kind and really provided the space for me to grow"